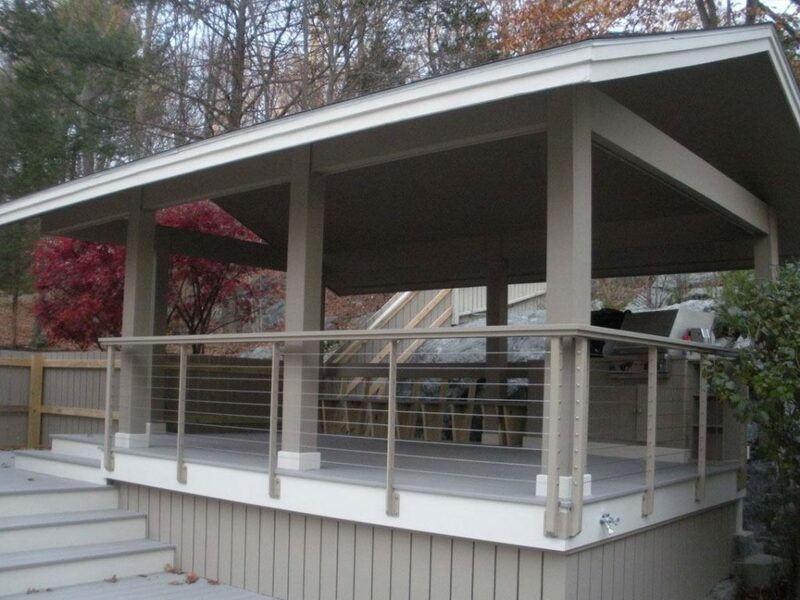 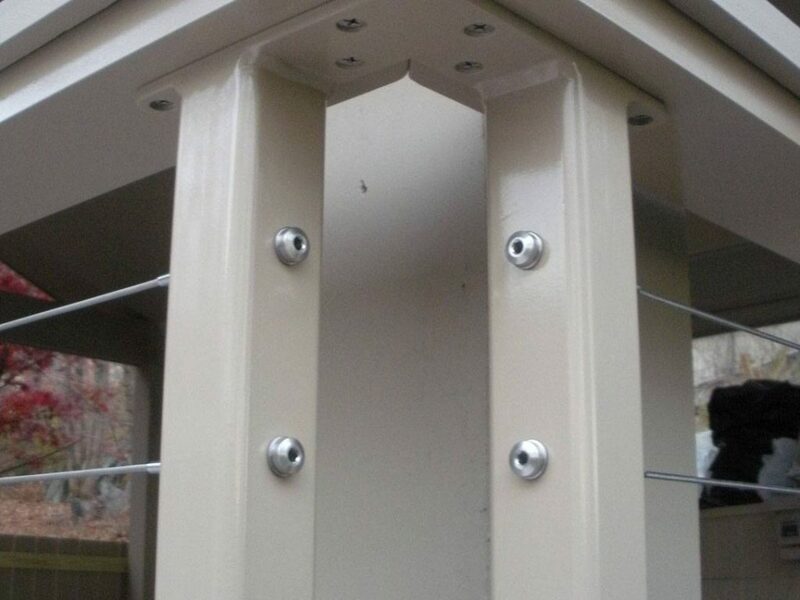 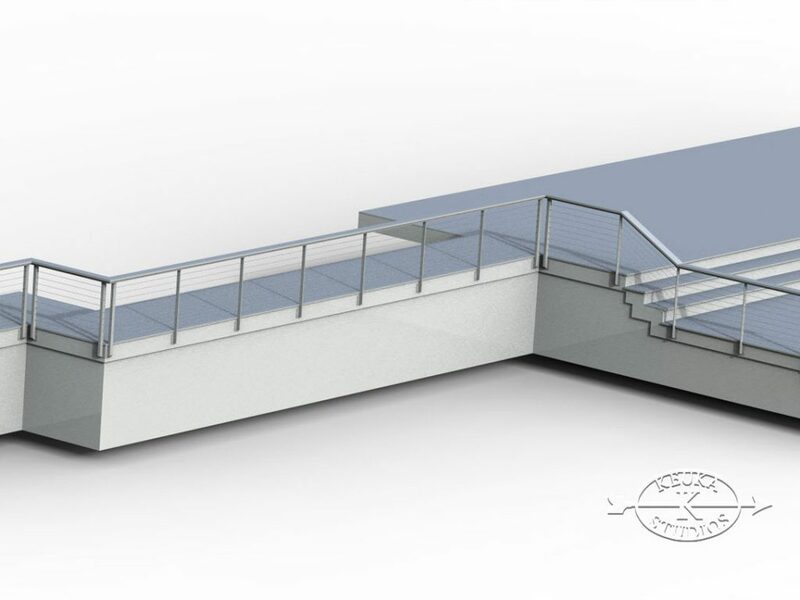 Material and Finish: Custom color powder-coated steel posts with aluminum sub rail and wood top rail. 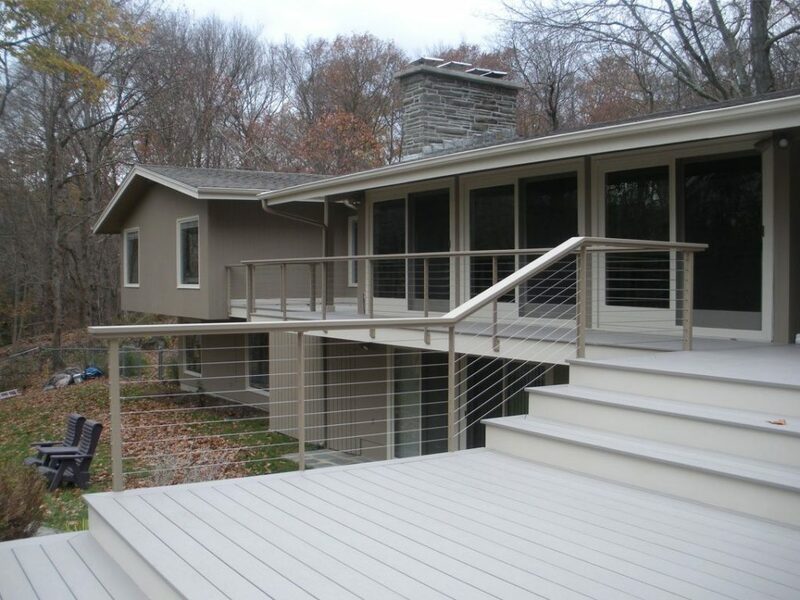 For their mid-century modern home in Essex, Connecticut, our client chose our Ithaca Style railing because of its clean and simple lines and modern aesthetic. 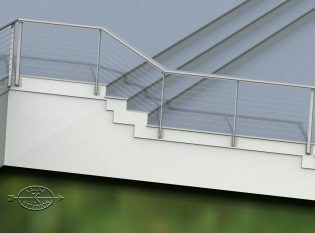 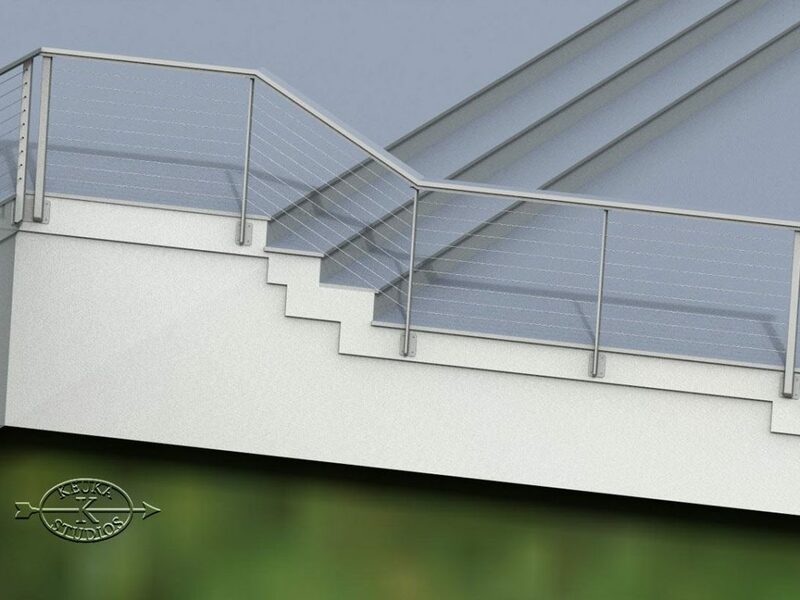 To match the color of their home’s exterior, they chose a custom color powder coat for the railing system’s steel posts. The railing seamlessly transitions from an exposed deck, down the steps, and over to a covered deck that the homeowner uses as an outdoor dining area.